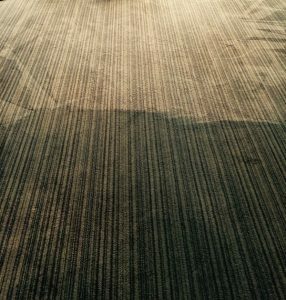 Is your carpet covered in stubborn stains? It’s time to bring in the professionals. Our WoolSafe assured Bury carpet cleaners offer a specialist cleaning service to leave your carpet looking as good as new. For those who want fair prices and high-quality results, Keep Clean are the ones to call. Finding shop-bought products to get rid of carpet marks and odours can be a difficult task, and customers can fall victim to products that do not fulfil their promises. However good or bad they may be, none of them deliver the same quality results as our cleaning services. Read on to find out more about the professional carpet cleaning services our Bury cleaners can provide. Our advanced anti-microbial treatment lifts all dirt and stains from your carpet, offering a deep and thorough clean. We use NHS approved products that can be applied by spray, foam, or fogging; our Bury cleaners will use whichever means is most appropriate for your carpet. This will provide ongoing protection against bacteria for many months after the treatment has been administered. Chewing gum can be a nightmare when it comes into contact with carpets and upholstery, especially if it is worn into the fabric. Using natural, citrus-based products, we can remove those nasty chewing gum marks from your carpet in no time. Don’t put up with those sticky, unsightly stains any longer – make sure you contact Keep Clean for a quick and effective solution. Urine and foul odours can leave an extremely unpleasant work or home environment if not treated efficiently. Our specialist treatments remove and neutralise any odours, leaving an immaculate result every time. This service is particularly popular among those in the care industry who want to keep their premises clean and fresh. Established in 1998, we are TACCA approved carpet members with a leading reputation for carpet cleaning across Bury. We are dedicated to providing an unbeatable service which has led to many customers coming back to us time and time again. The equipment and products we use are suitable for all carpet fibres to ensure a thorough yet undamaging clean. Additionally, we work at a time to suit you so as not to interrupt your day. If necessary, we can provide a same-day service, and you can rest assured that our Bury carpet cleaners will always arrive on time. For an idea of the impressive results our carpet cleaners can deliver, take a look at the before and after pictures in our Keep Clean gallery. To find out more about the services that our carpet cleaners can provide to Bury clients, call 01706 411590 or send an email to info@keepclean.co.uk.